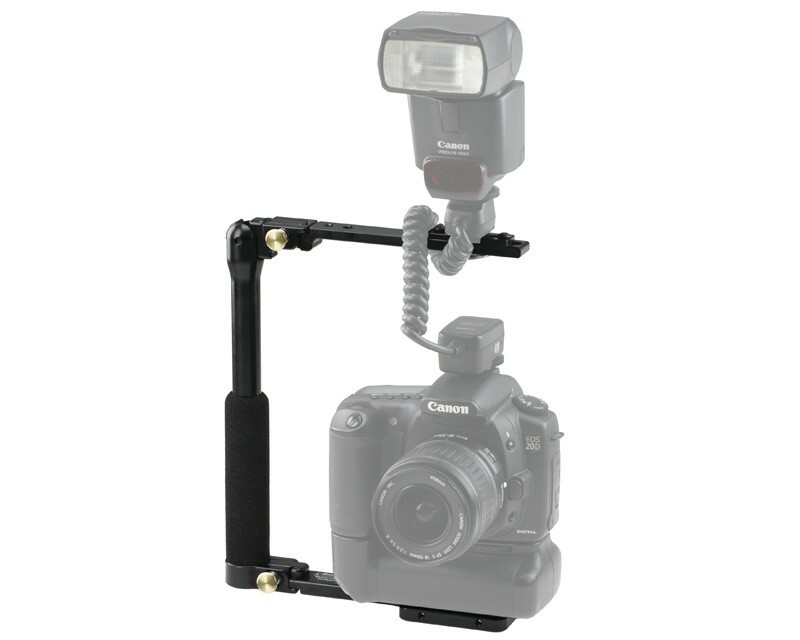 The Folding-T Flash Bracket is a taller bracket for larger cameras to be accessorised with an off-camera flash. The Folding-T can be mounted to either the left or right side of the camera depending on the user's comfort. It holds a flash 28cm above the lens.